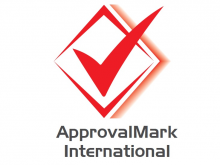 ApprovalMark International is accredited by JAS-ANZ to conduct product certification and issue WaterMark license to level 1 and 2 schemes as per the guidelines outlined in AS 5200.000 – Procedures for certification of plumbing and drainage products, regulated by National Plumbing Regulatory Forum (NPRF). ApprovalMark International has over 20 years of experience in plumbing industries through manufacturing, testing and participation of standards committee. So when you seek certification assistance with ApprovalMark, you are guaranteed to receive accurate advice for your product certification scheme, as they are the experts in this field. Contact ApprovalMark today, and let them help you with all product certification needs.